In this provocative volume, Zillah Eisenstein uncovers the hidden sexual and racial politics of the past decade. Beginning where she left off in her award-winning book "The Female Body and the Law", Eisenstein takes the reader on a feminist-inspired road trip, traveling from the thicket of recent abortion decisions to the revolutions of 1989 to the murky chambers of the Anita Hill/Clarence Thomas hearings. Along the way, she enunciates a wholly original conception of individual privacy and sexual rights. Eisenstein brings a range of topics to her discussion: the L.A. riots, crack babies, Murphy Brown, political correctness, the 1992 presidential election, the Gulf War. She seeks to redirect our thinking about democracy away from universal conceptions that mask racial and gender oppression to the specific realities of women and people of color. A respect for multiple differences - as represented in the needs of women of color and their bodies - is, she says, essential to inclusive universal rights. Reproductive freedoms and sexual equality, not abstract notions of civil liberties, provide the wellsprings of a meaningful democratic life. Using this perspective to evaluate the Eastern European revolutions of 1989, Eisenstein finds that the separation between their ideals and the reality of the market system illustrates the failings of democratic theory, especially for women. 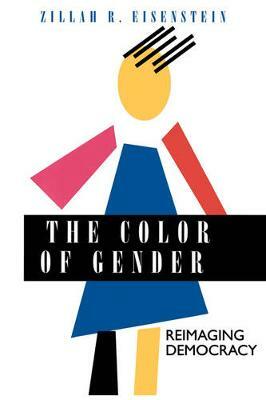 Eisenstein's controversial arguments will provoke a rethinking of what race and gender mean today.